Capital Legal Services is a leading Russian full-service law firm, providing legal services since 1999. The firm has Interlaw offices in Moscow and St. Petersburg. Capital Legal Services provides support for Russian and foreign investors in the course of implementing investment projects, of various forms, in Russia. The firm provides a variety of legal services at all stages of project implementation and after its completion. Their team has experience in resolving issues of any level of complexity in the course of organizing clients’ activity in Russia, and in the course of subsequent support of their business development. Their team has many years of experience in providing comprehensive support for projects in real estate and construction. The associates of Capital Legal Services are competent in corporate law / M&A, public-private partnership, antitrust law, labor and intellectual property and provide support of clients’ interests in court and during pre-trial dispute resolution. 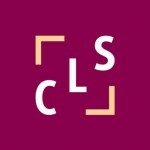 Capital Legal Services has its own expertise and extensive experience in collaboration with the state in the course of implementing projects of strategic importance, as well as successfully advising clients coming to the Russian market on the issues of legal protection for business and on building an effective dialogue with state and municipal authorities. Capital Legal Services is the only associated member of the International Federation of Consulting Engineers (FIDIC) in Russia. Chambers & Partners and Legal 500, major international rating agencies conducting research of the legal market recommend Capital Legal Services as legal advisor for companies entering the Russian market and for companies already doing business in Russia.